In our culture where oaths and minced oaths [expressions based on profane or taboo terms that have been altered to reduce the objectionable characteristics of them] flow as freely as water, it is a good thing to remind ourselves of how serious it is to "take God's name in vain." "misuse" God's name (NLT, NIV 1984). "use the name of the Lord your God carelessly" (God's Word 1985). "You shall not use or repeat the name of the Lord your God in vain [that is lightly or frivolously, or profanely]" (Amplified). "No using the name of God your God in curses or silly banter" (Message). - to swear falsely as in undergirding a lie. - to swear as a means of enforcing acts of witchcraft and conjuring. 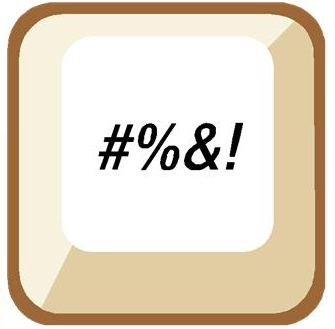 - to swear trivially as in using God's name lightly during everyday conversation. Commandment One: We are to worship God and Him alone. Commandment Two: Our worship is to be spiritual and not given to images, pictures, superstitions or human inventions for God. Commandment Three: Our worship is to be serious and reverent. Commandment Four: One day in seven us to be allotted for worship. Today I feel warned about the seriousness of loose speech. Even minced oaths like gosh, gee, geez, golly, cripes, etc. have no place in the daily speech of one who is determined not to take God's name in vain. PRAYER: Dear God, please grow in me true respect for You—such respect and reverence that avoids any shade of disrespect and vain misuse of Your name. Amen. "As blood-bought children of God we should be very thoughtful about the words that we use, and very careful in our choice of words. This is especially true at times of surprise or amazement or sudden pain or disappointment when we tend to burst out with an exclamatory word or comment. Those of the world blurt out all kinds of inappropriate words, not giving much thought to what they are really saying. All such careless speech and profane cursing should find no place on the lips of a redeemed saint: "Set a watch, O LORD, before my mouth; keep the door of my lips" (Psalm 141:3)...."
The article goes on to name a variety of minced oaths and explain their origins. Read all of "Minced Oaths."